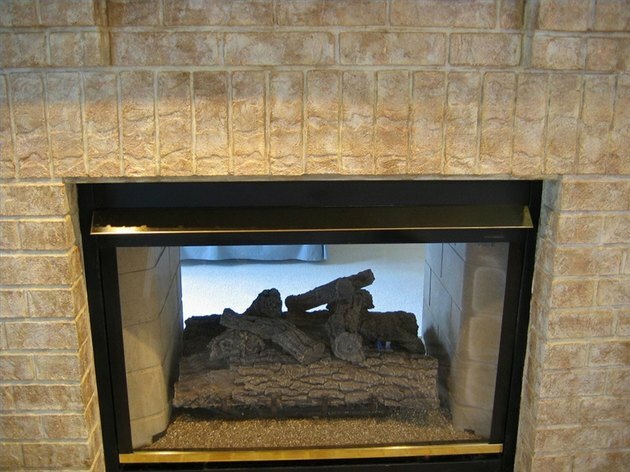 Bricks usually lend warmth and a cozy feeling to an environment, but there are times when they need an update. Perhaps the intense red brick on an oversized fireplace is dominating a room and stealing the focus. Or you've chosen a new color scheme that no longer works with the color of your bricks. Ripping them out is costly, messy and unnecessary. There are quick ways to change the look of bricks using inexpensive ideas. 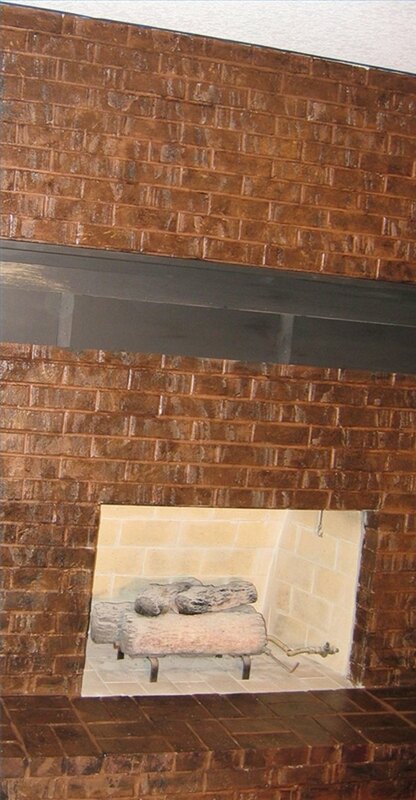 Tone down the color of your brick by using water-based glazing liquid that's a few shades darker than your brick. If you can't find a premixed glaze in the right color, have a quart of paint mixed and then combine it with clear glazing liquid. Mix 1 part paint to 2 parts glaze in a small bucket. It won't take much product. Craft paint mixed with glaze also works well. Use a chip brush to scrub color here and there into your bricks. If you get too heavy with the glaze, dab some off with a damp rag. Seal brick first with a water-based sealer/primer. Choose at least two colors close to each other on a paint sample strip. For more contrast, they could be one or two colors apart, but for best results, start with a controlled palette. Paint the darker color for the base coat, using a 3-inch, stiff brush to reach into the cracks of all the bricks. When the base coat is dry, highlight areas of the bricks by randomly brushing on your accent color. For a more transparent look, mix the accent colors with clear liquid glazing medium. Dab excess paint off until you achieve a pleasing finish. If you want your grout to show, use a smaller art brush to quickly paint the grout. The color will depend on your room's décor. 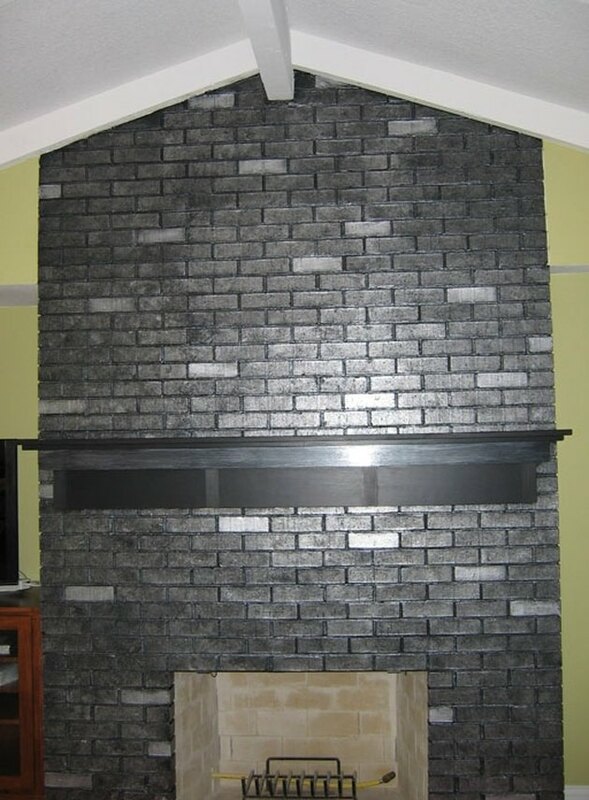 Add touches of metallic paint to dress up your brick and give it a more reflective quality. Choose gold, copper, bronze or silvers to coordinate with the other metals in your lamps, door knobs or accessories. Dab a sea sponge in a small amount of paint on a plate and then dab some paint onto a paper towel or rag. Use a light touch to add subtle highlights. Another option is to highlight random bricks by brushing with the metallic paint of choice.